T.H. Jones (1921-1965) achieved little recognition in Wales or Britain during his lifetime. After publishing his first volume of poetry in 1957, he emigrated to Australia, where his career as a poet and lecturer came to a sadly premature end when he was accidentally drowned. T.H. 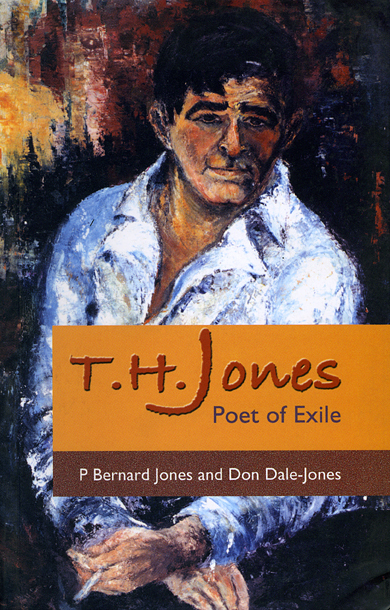 Jones: Poet of Exile is the first literary biography of an undervalued writer who, the authors suggest, should be thought of as one of the defining poets of mid-twentieth-century Welsh culture, alongside Dylan Thomas and R.S. Thomas. This perceptive study locates Jones in his social and cultural contexts and demonstrates his considerable achievement as a transitional figure in the development of ’Anglo-Welsh’ poetry. The authors draw extensively on unpublished sources, such as Jones’s extraordinary hand-written ’Black Book’ which contains nearly all his poems in chronological order, and on interviews with those closest to Jones. It is a valuable record of a writer important both because of the poetry he wrote and because of what his life has so powerfully to reveal to us about his culture, his period and his place.